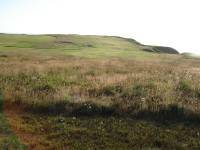 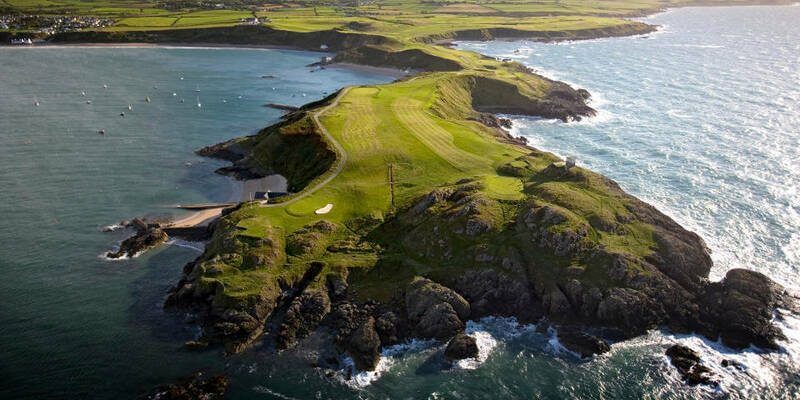 There is a course in the remote northwest of Wales that simply must be seen to be believed. 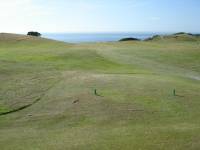 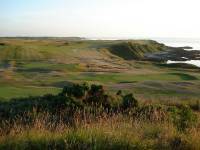 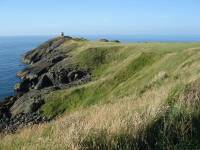 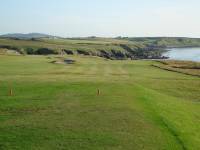 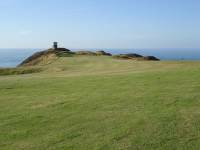 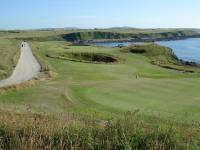 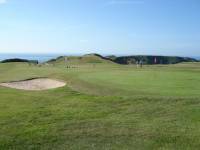 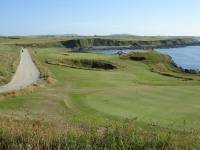 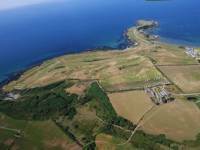 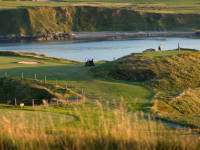 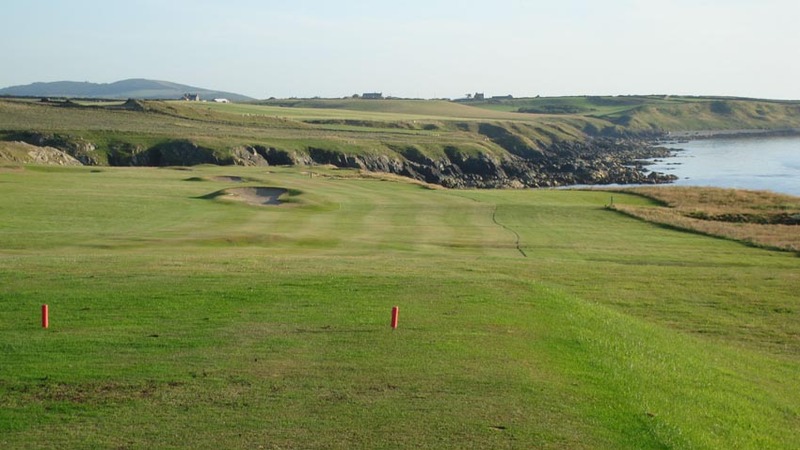 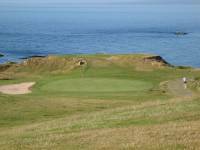 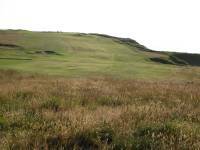 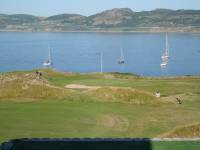 Nefyn and District Golf Club–a course on a par with the handful of most scenic and stunning clifftop golf courses in the world, with only Old Head and Pebble Beach as equals in this regard. 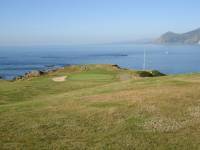 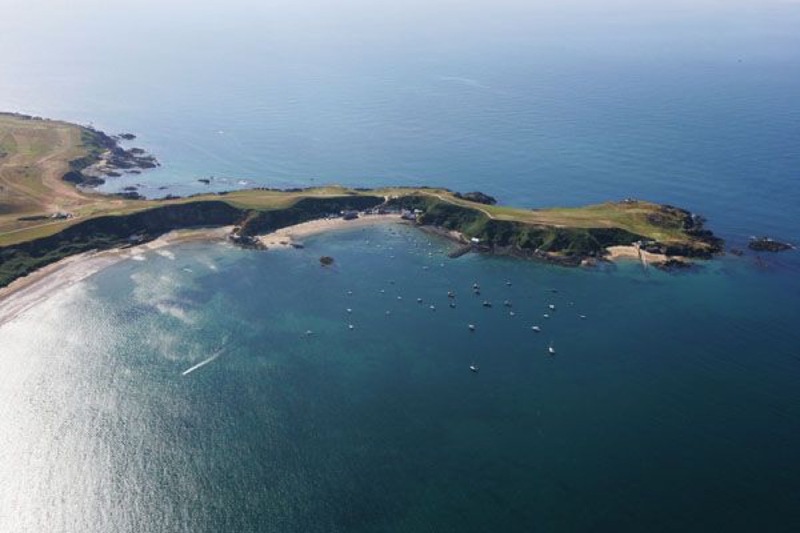 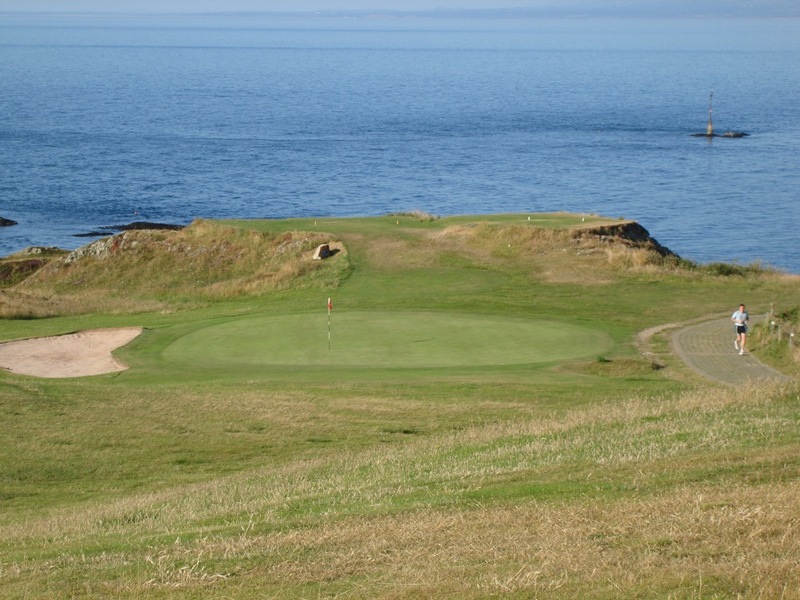 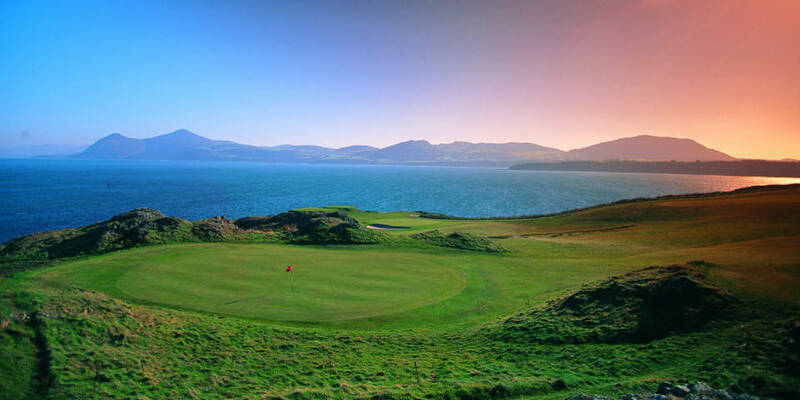 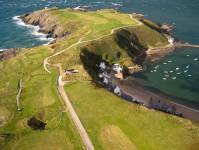 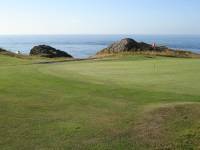 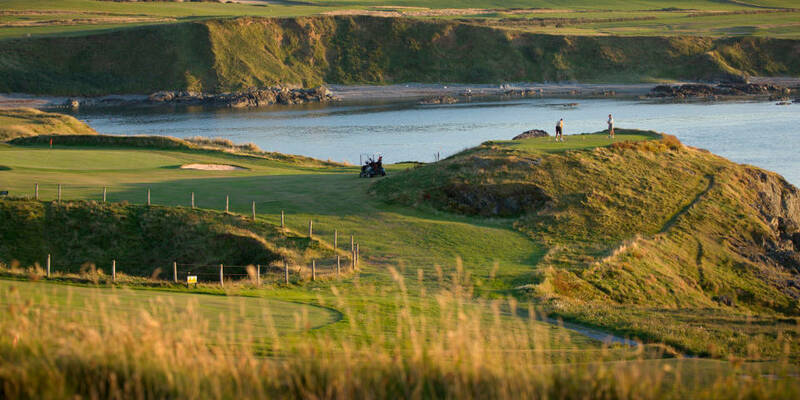 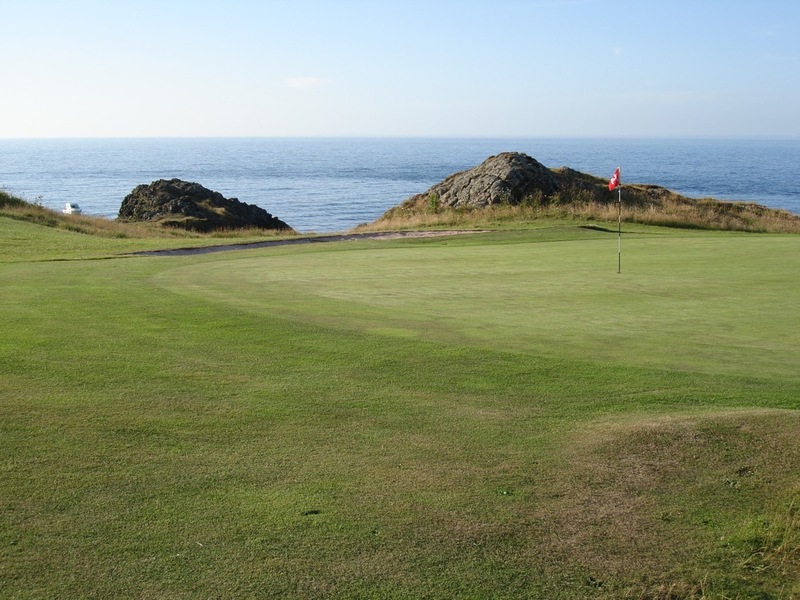 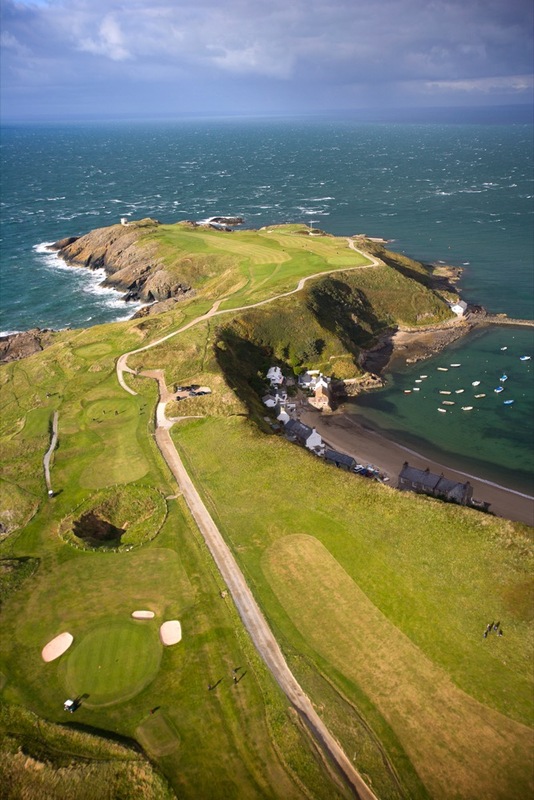 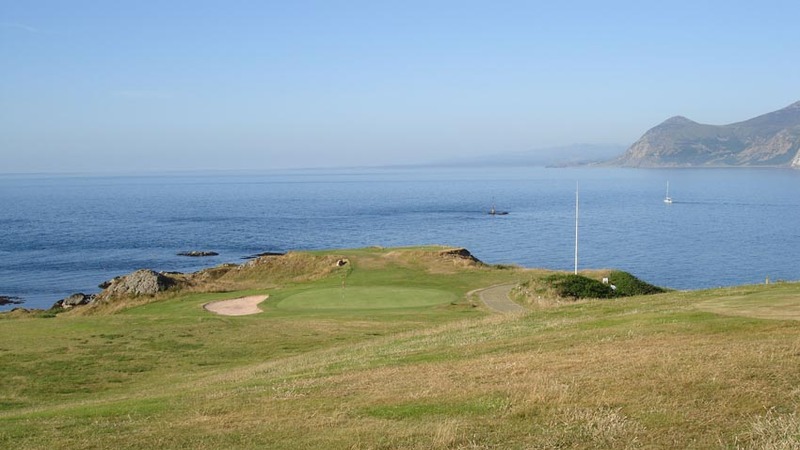 Nefyn and District Golf Club is also the only course we have ever seen that presents the opportunity to either hook OR slice your ball into the ocean! 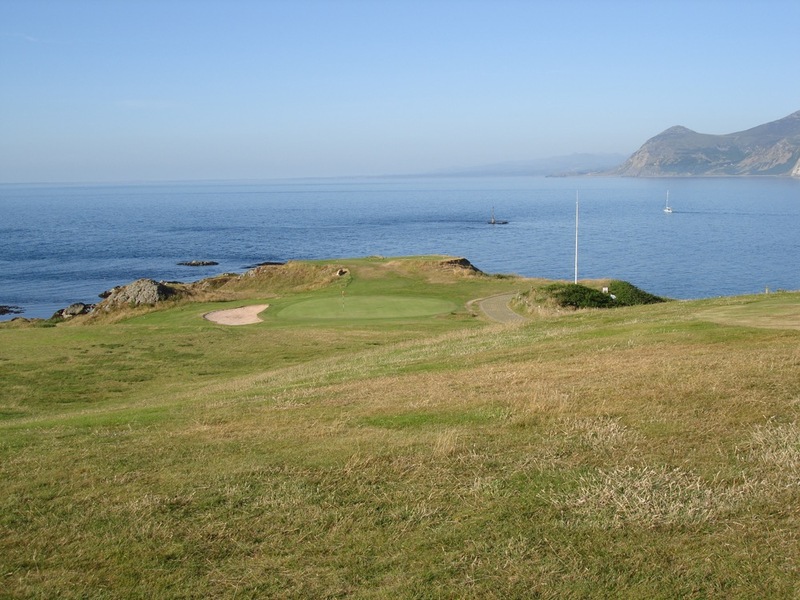 The indescribable Nefyn and District back nine occupies a unique promontory of land called “The Point” that is barely wide enough for two golf holes, and indeed many golfers playing Nefyn and District Golf Club have followed their slice into the sea with a duck-hook into the very same water off of the 13th tee, vice-versa on the 15th! In between these two memorable holes at Nefyn and District Golf Club is a par-3 where the tee shot is launched from the highest point on the course to the green down at sea level, the beautiful water, distant mountains, and many local boats beyond as the ball drops to Earth. 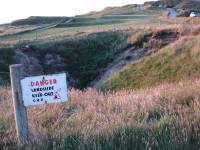 An added hazard on the Nefyn and District Golf Club back nine are the many pedestrians heading to the beaches and hidden coves, and they even somehow find room for a public road. 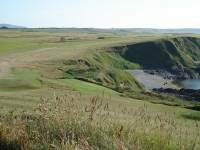 All must be avoided on the 12th at Nefyn and District Golf Club, and to make things even a bit more interesting there’s a sinkhole to be avoided as well. Our favorite feature at Nefyn and District Golf Club though is not on top of the cliffs, but tucked into a sandy cove below the 12th green. 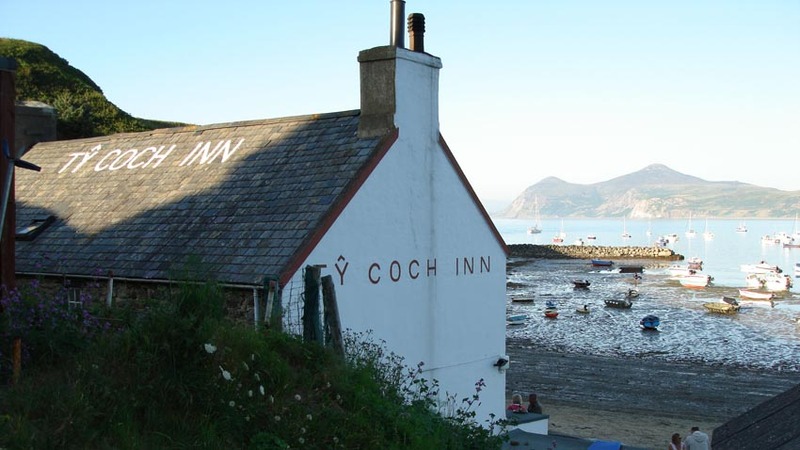 This is the Ty Coch Inn, a cozy and comfortable pub in a cove straight from your most vivid imagination, begging for a climb down from the fairways. It is everything you could ever hope to find in a pub in Wales. 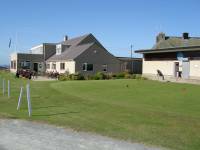 There are even rooms upstairs if the holiday mood really takes you! 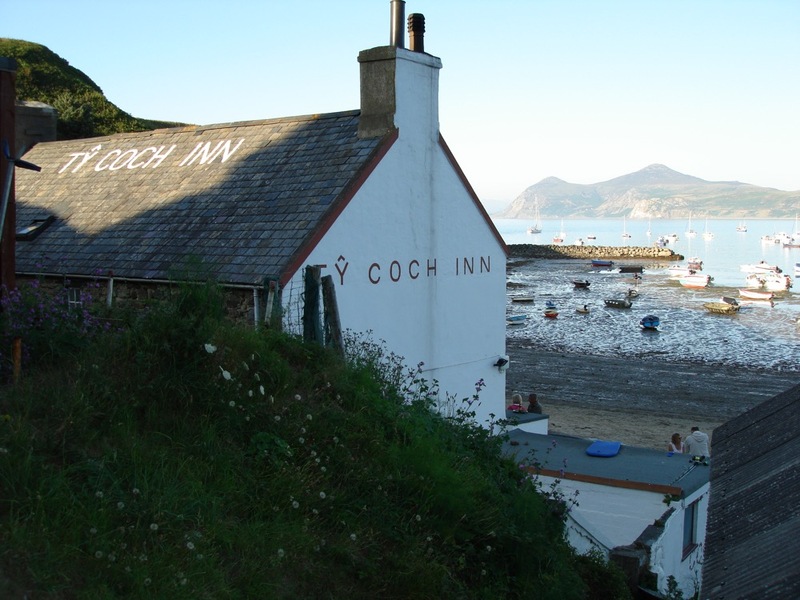 Ty Coch Inn was the setting for the Demi Moore movie “Half Light”, and momentos of her visit adorn the pub walls. 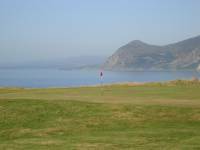 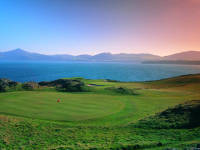 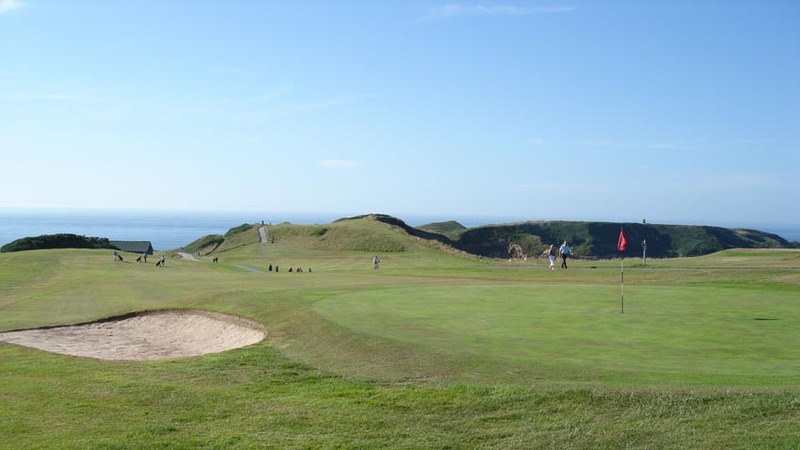 You may think that the back nine is all there is at Nefyn and District Golf Club but the front nine at Nefyn and District is no slouch either in terms of both golf and incredible scenery, take away the back nine and THIS nine would be almost as famous. 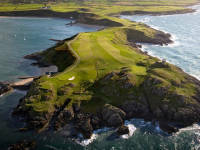 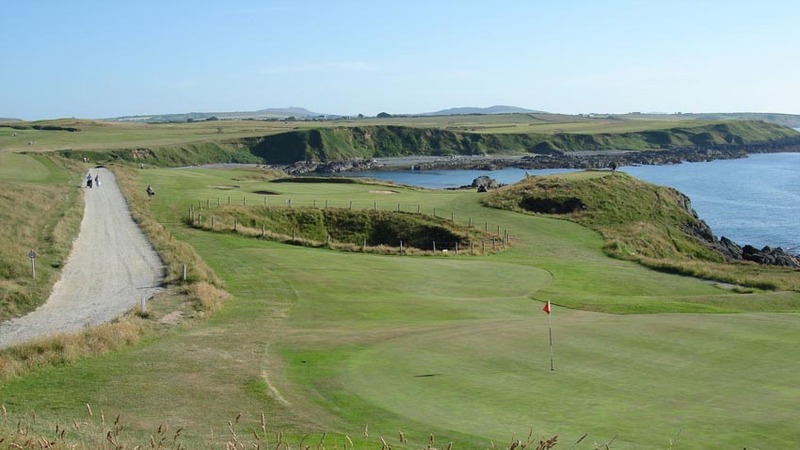 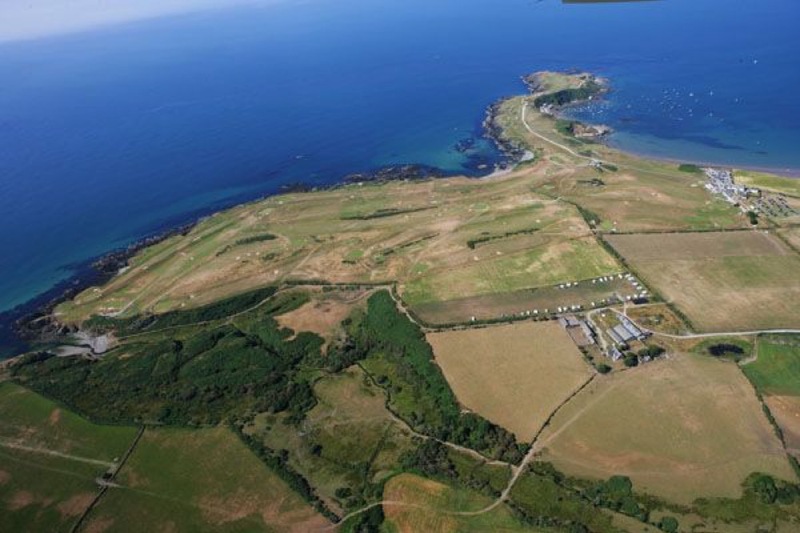 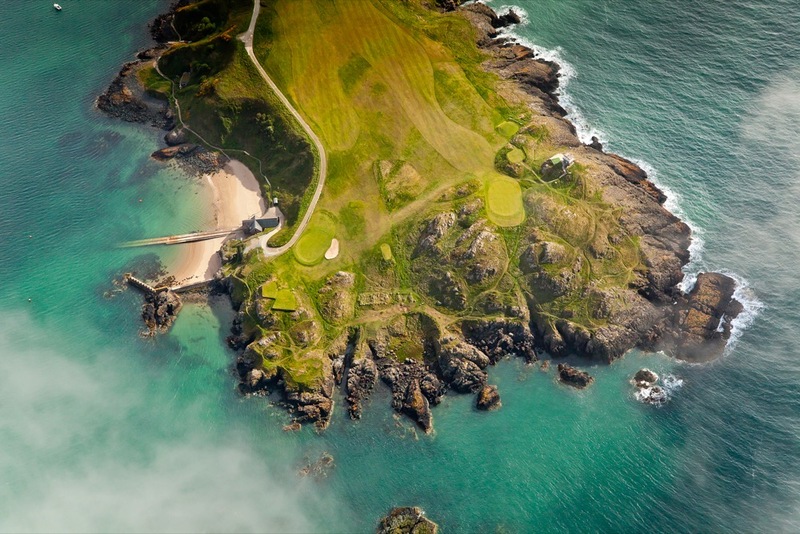 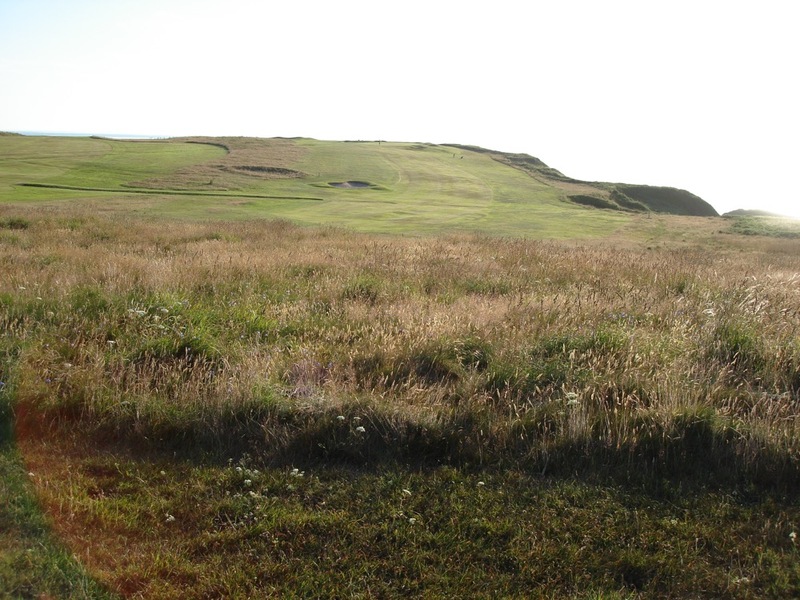 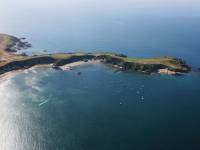 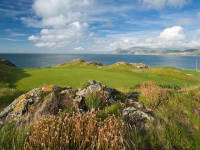 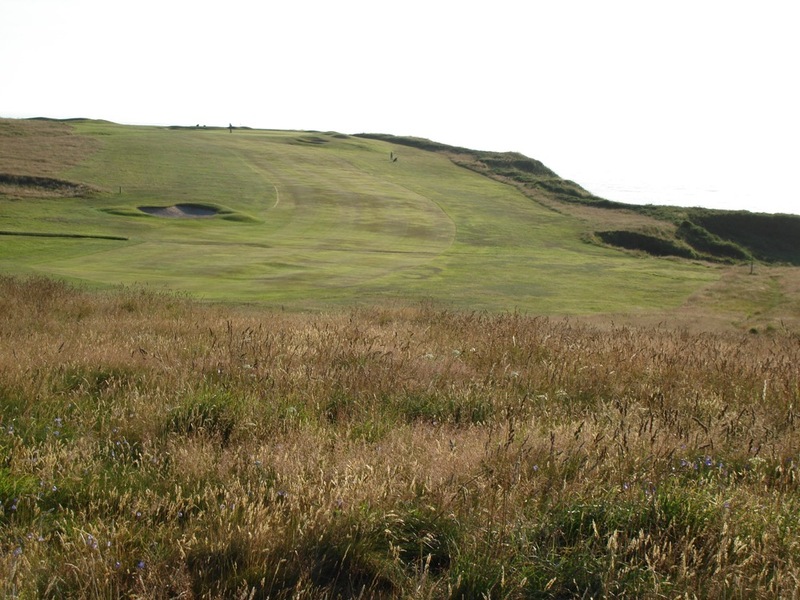 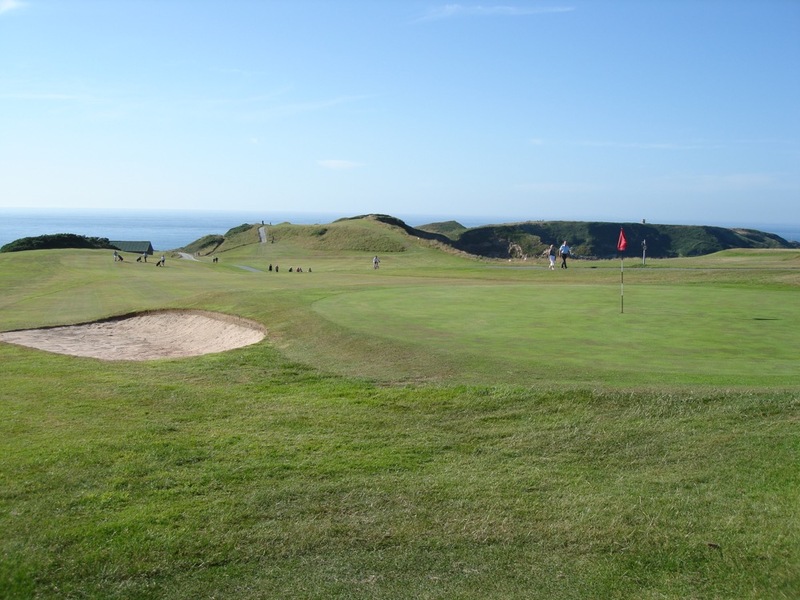 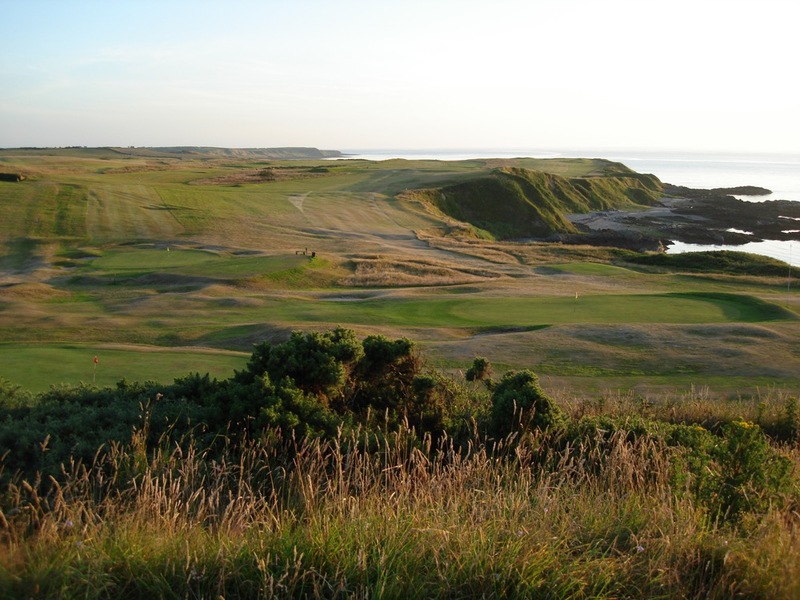 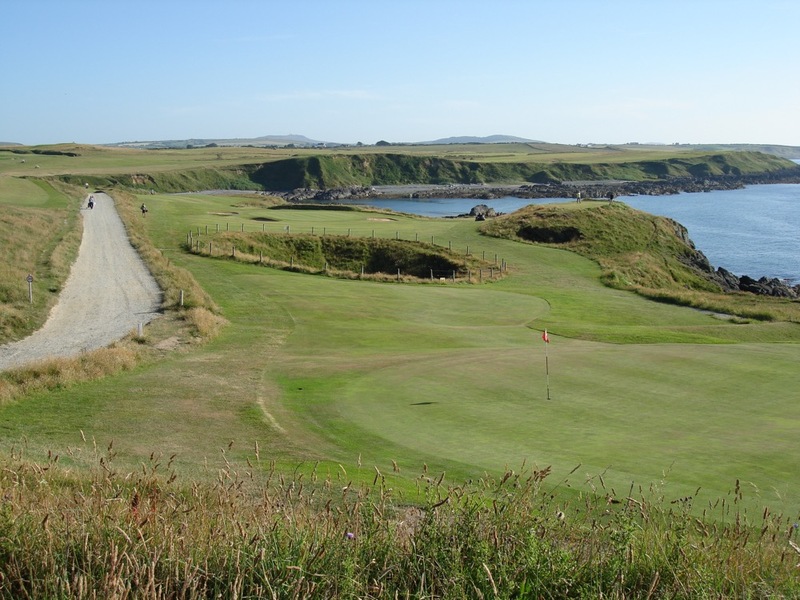 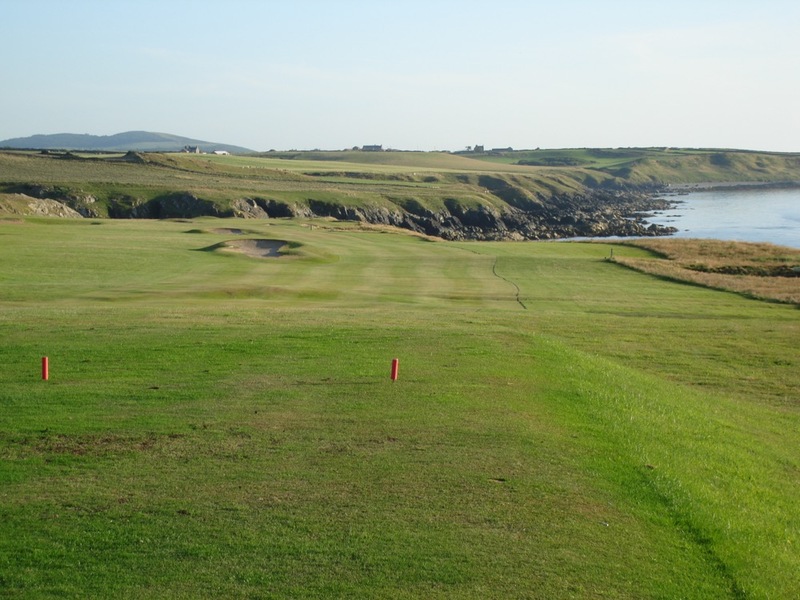 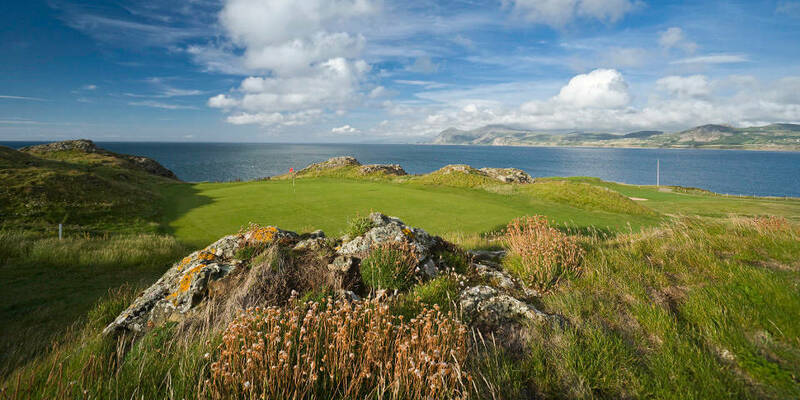 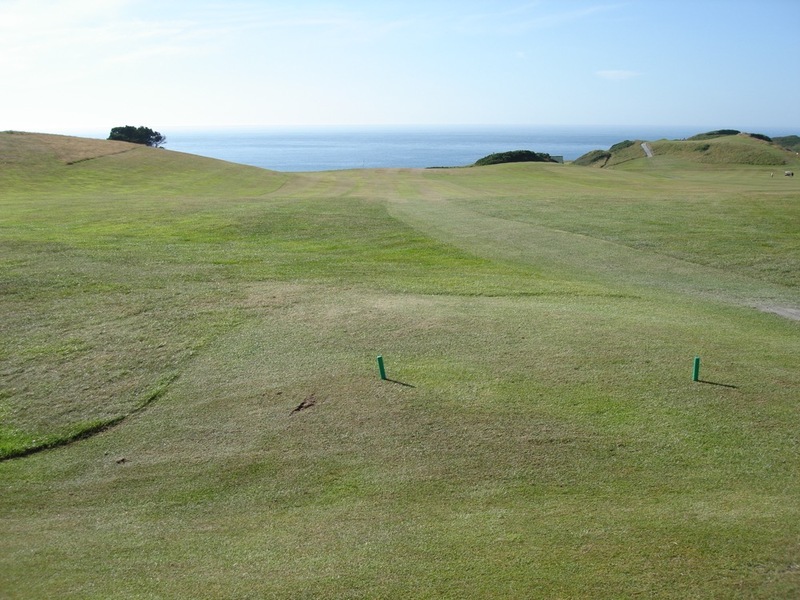 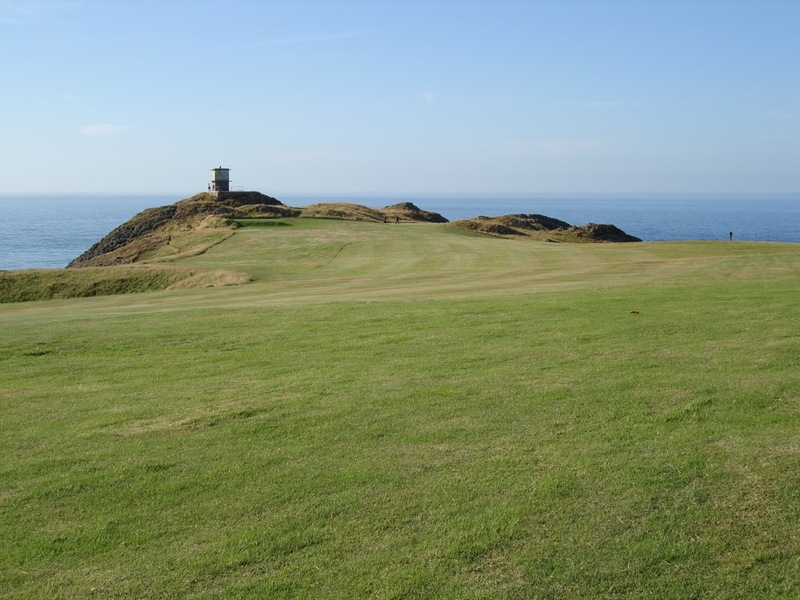 With a setting that is simply unmatched in Wales, Great Britain, the UK, or the British Isles for that matter, visitors to Nefyn and District Golf Club are simply left spellbound by this exhiliarating and potentially perilous Wales golf experience!